Schools celebrate World Read Aloud Day by bringing in authors or mystery readers. 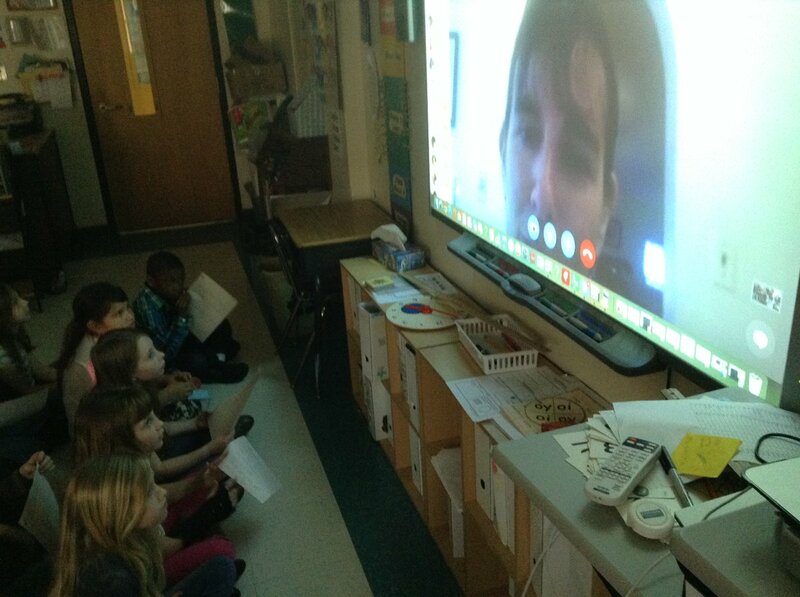 This week I visited classrooms in Maryland, Tennessee, Texas, Massachusetts and North Carolina via Skype (which is key, as I don’t always travel well by car). 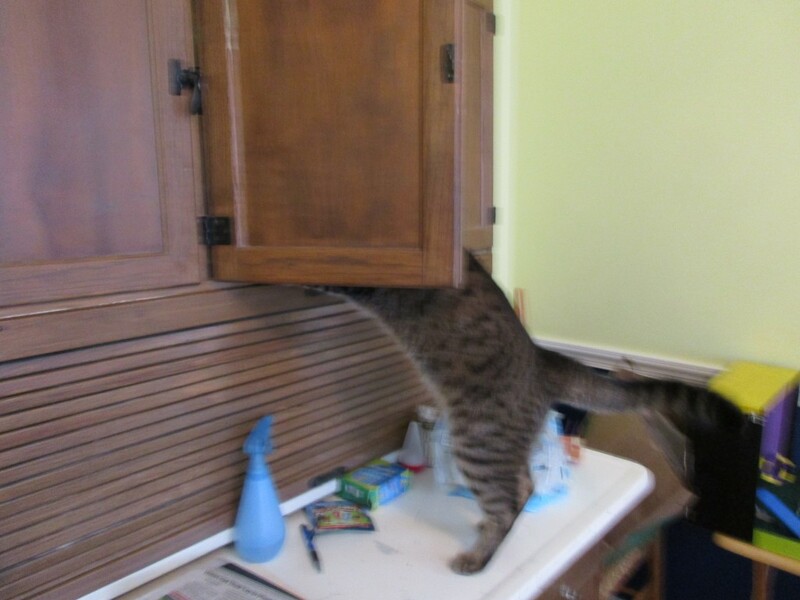 The only technological glitches were the fan in my computer, which started whirring at one point and made me feel like I had to shout to the kids in Maryland, and one of my cats, who decided he wasn’t getting enough attention. 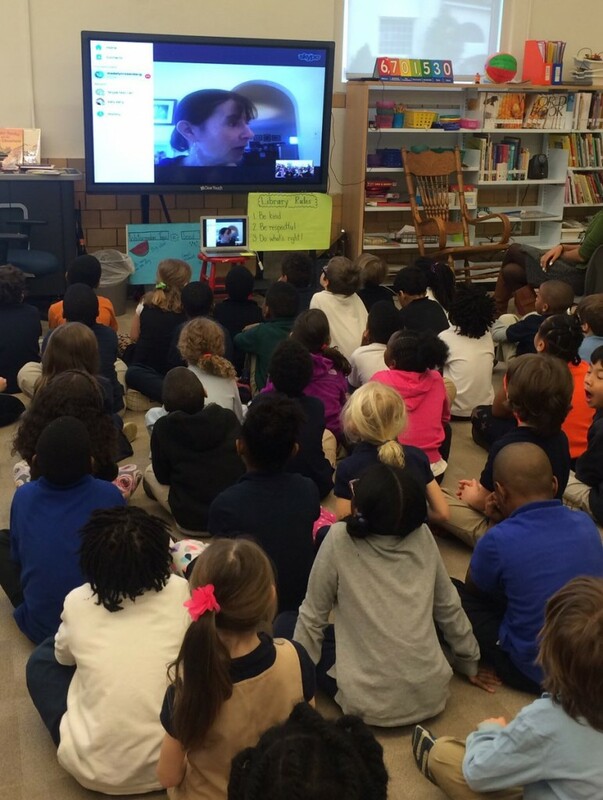 The appearance of a cat during a Skype visit isn’t quite akin to the appearance an Obama dog during a visit to the White House, but kids love it when a tail or a pair of pointy ears suddenly appears on the screen. In part, it’s because my cats are pretty darn cute. But the cats also remind kids that they are talking to a real person. She has cats! She writes! She has a messy dining room! (Yes, I show them that, too.) Which I hope will lead them to realize that one day they, too, can write in a messy dining room with cats. Every classroom I visited this year was different. I read and talked and when my kids came home from school, I read some more. The cats listened, too. Here’s hoping that your read-aloud day turns into a week or a year or a lifetime. Many thanks to Kate Messner, who provided a match-making service for teachers and authors on her blog this year. And thanks to all of the teacher and librarians, for all they do every day. You can learn more about World Read Aloud Day on the official web site. This entry was posted in kidlit, librarians, teachers, World Read Aloud Day. Bookmark the permalink.